9ct white gold 3.0g initial ring. 9ct white gold bespoke made to measure personalised initial ring with a tree barked textured shoulders. Expertly cut from a 3.3 gram blank initial ring block. 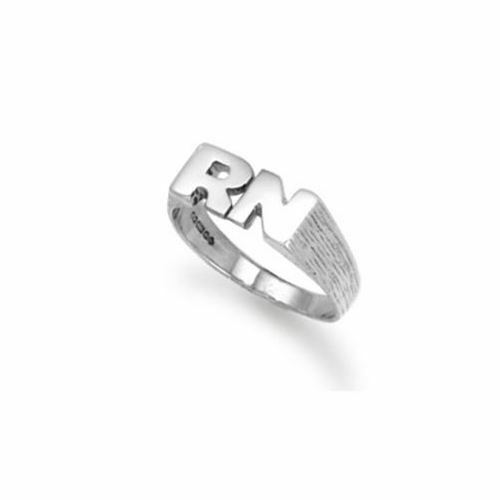 The finished weight and dimensions of the ring varies depending on the letters chosen. Each bespoke jewellery item is unique and made to order. Please note that bespoke, personalised and engraved items cannot be returned. Comes complete with presentation box. Please allow 7 working days for free UK delivery.